Are you ready for the Big Bang on Jupiter? We’re about to watch huge comet chunks plow into the back side of that enormous planet—at 140,000 miles an hour. Nobody’s ever seen such a thing. A first. A truly cosmic event. It’s also a reminder of a guy who’s missing the party by 352 years. 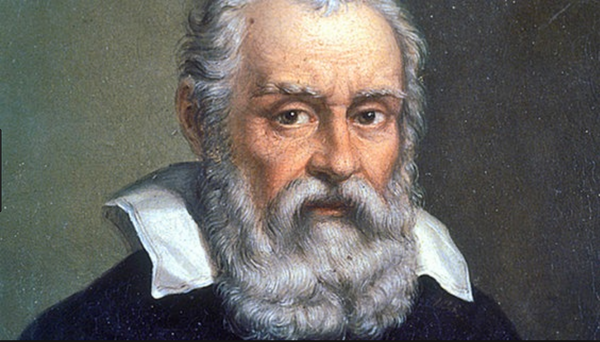 Nobody would appreciate this space show more than Galilei Galileo. The Galileo who turned the first telescope towards the heavens and saw sunspots, the mountains on the moon—and the moons of Jupiter. Looked at them. The first human to see, to make eye contact with what’s really out there. The space probe that’s allowing our eyes to see the events on Jupiter just happens to be named “Galileo.” How often does real life come up with such perfection? You’ll remember that life was far from perfect for our man Galileo. One of the things his telescope observations made clear to him was that the earth definitely was not the fixed center of the universe. It moved. On its own axis and around the sun. His observations proved it indisputably. A pure scientist, he published his proofs, closing the case on an old argument, and turned to the study of other phenomena. But the most powerful force in his world blocked his way onward. The Inquisition, arbiters of all Truth, said the earth did not move. Summoned before them, Galileo was shown their instruments of torture and told that he could keep his proofs—or his life. Pick one. Old, sick, frightened, and with work yet to do, Galileo went down on his knees, cursed his own findings, and confessed that he’d been wrong—they were right—the earth stood still at the center of the cosmos. But as he walked away from these stupid, foolish, terrifying men, he said quietly, eppur si muove—and still it moves. I can’t fully explain why that statement has always touched me so. A hero would have stood his ground, upholding the freedom of science to tell the truth, no matter what they did to him. Galileo, outgunned, scared, and not brave, submitted to their power and their stupidity—but he never doubted what he damwell knew to be true, and in that stubborn muttering he told us he was not defeated, not sorry, not stopping. The truth would outlive these fools, even if he didn’t have the strength to face them down. He had disgraced himself in the eyes of fellow scientists, and probably frightened many of them away from their own pursuit of truth. The Inquisitors put him under gag order and house arrest, and banned all his writings. Still he did what his copping out allowed him to do—he worked, smuggling his manuscripts to faraway printers. He was still a heretic, but a subversive one, pretending to toe his oppressors’ line. Not what we think of as a hero, but oh so recognizably, painfully, human. In 1992, 350 years after his death, the Vatican issued a formal pronouncement that Galileo had been right about what he saw through his telescope. Now, the space probe named for this complex, brilliant, touching heretic will show us more truths from space. Eppur si muove, friends. And still it moves.